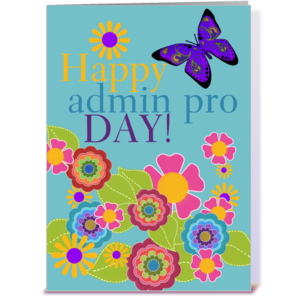 Thank you to all the WVSD Administrative Assistants. We appreciate all you do for our staff and students. Enjoy your special day! Registration is now open for the summer STEM camp for students entering grades 1 - 6. The Camp is June 24-27, 2019. As a result of legislative changes to state and local levy funding for the 2019-20 school year, West Valley put a plan in place to operate with less revenue by reducing expenditures with as minimal an impact on students as possible. 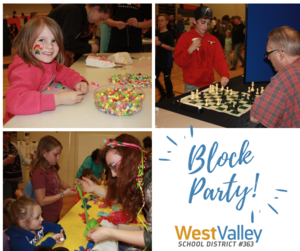 Mark you calendar for the 18th annual Community Appreciation Block Party on May 16, 5:00 - 8:00 p.m. at West Valley High School, 8301 E. Buckeye. The WV Class of 1969 is holding a 50 year reunion on September 14, 2019, at Templen's in Post Falls. More than 50 students from Ness Elementary participated in the recent Lemonade Day event. The students paired with WVHS Culinary Arts and Marketing students who mentored them on preparing food and running a business. Centennial Jazz Ensemble, under the direction of Kyle Bosch, competed in the recent Jazz Unlimited Festival at Columbia Basin College and won Outstanding Musician Awards for their solo's during the performance. In addition, the band received a superior rating for their performance. Great job Falcons! WVHS has two recently-named Spokane Scholars. Jacob Barnhart won for science and Jacob Koestner won for English. Both are seniors and will attend college next year. The WVHS baseball team wore special purple uniforms at a recent game to honor classmate Sophie Hawley who passed away in December. The Eagles went on to beat East Valley 8-1. Pasadena Park 5th grade teacher Kristin Wall has been named Kids Newspaper and Avista Utilities Teacher of the Month. Watch for her story in the May edition. Congratulations Ms Wall!